We have many free resources available for instant download. You can click here to access 100 of our free resources. Make sure to keep clicking onto the next page of our store at the bottom. 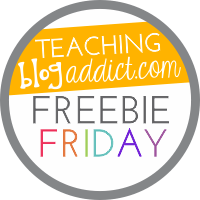 There are 5 pages of free resources! You can also click here to access 18 free Daily 5 resources.